As a homeowner, you know that homes need constant care and attention. Faucets leak, garbage disposals clog, decks and fences need stained…and the list goes on. Sometimes, caring for your home can seem overwhelming, especially when family, work, and social obligations keep you from tackling big projects. Other times, you might just lack the expertise to handle a particular repair, like replacing a ceiling fan. When you need help with home improvements and home repairs, you don’t have to spend an entire weekend trying to figure how to install drywall or mount your new flat screen—call on a Sears Handyman and your job will be done in no time, leaving you free to reclaim your weekend. 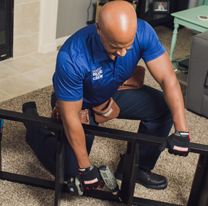 Sears Handyman technicians possess a diverse skillset and years of experience in fixing common household concerns, inside and outside of the house. Sears Handyman technicians can help install a new toilet, repair doors and windows, and even install decks and fencing. Our staff can also help with painting, mounting drywall, and many common, but tedious household chores like gutter cleaning and furniture assembly. 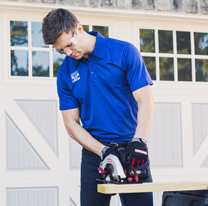 Whatever your home repair issue may be, you can always call and discuss your questions with a Sears technician over the phone. Our staff will be happy to talk through your home repair or renovation needs and schedule an appointment for a free consultation. Call today, and get your home improvement servicing scheduled in no time. Sears Handyman technicians can help with common plumbing issues like clogged drains, broken toilets, and water heater replacement. 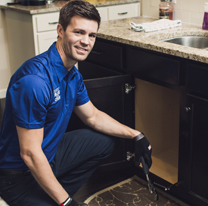 When you have a plumbing issue needing solved, call a Sears Handyman. 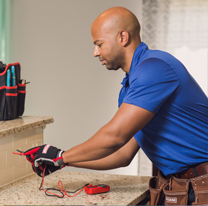 When you have electrical issues that need fixed and need the help of a professional, contact a Sears handyman. Whether you need a ceiling fan repaired or LED lighting fixtures installed, you can rely on the versatile skills of a Sears Handyman. Sears Handyman technicians can help out with the odd installation and repair tasks that some homeowners find difficult. From flooring installation and T.V. mounting to installing safety fixtures in homes to accommodate the elderly and disabled, a Sears Handyman can help improve your home. Homes experience wear and require maintenance throughout the year. When you need gutters cleaned, doors or windows repaired, or carpentry projects completed, count on the experienced professionals at Sears Handyman Services. Most homes contain drywall, but many homeowners have difficulty hanging or repairing the material themselves. 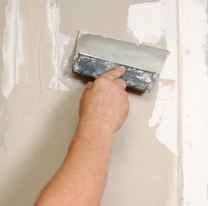 Drywall repair and installation are no trouble for an experienced Sears handyman. For deck installation, repair, and maintenance, call an experienced Sears handyman. Our technicians know all about deck building and care. 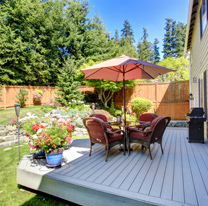 They can add a beautiful deck to your home or restore your current one. 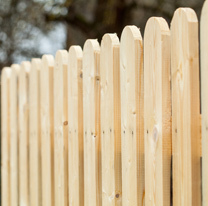 Fences make great additions to homes, providing privacy and property boundaries. For privacy, picket, and chain link fences, count on a Sears handyman. Painting a home can revitalize the look of the interior, giving new life to any room in your home. Likewise, a freshly painted exterior can take years off a home’s appearance. 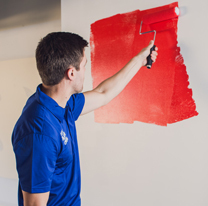 For interior or exterior painting, trust a Sears handyman to get the job done right and leave your home looking great. Wonderfully patient with me when I changed colors and added things on. Jose, Angel & Josh were very polite and respectful! Enjoyed having them in my home! Tony was very responsive to my texts and changes in the plans...and added a lot of tension breaking humor when I was stressed out! Thank you all--Sal & Maria too, for making it a great experience. The job was done very well-it's beautiful and I love it!! Will recommend you all for sure!! The Sears Handyman arrived exactly on time, fully-prepared & went about the job in a professional way, finishing my gutters cleaning & doorbell installation in a timely & efficient manner. The handyman cleaned up afterwards, leaving no traces (except newly cleaned gutters & shiny new doorbell!) of his work. 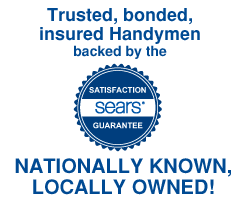 I'm pleased with the price quoted & paid & wouldn't hesitate to use Sears service again!